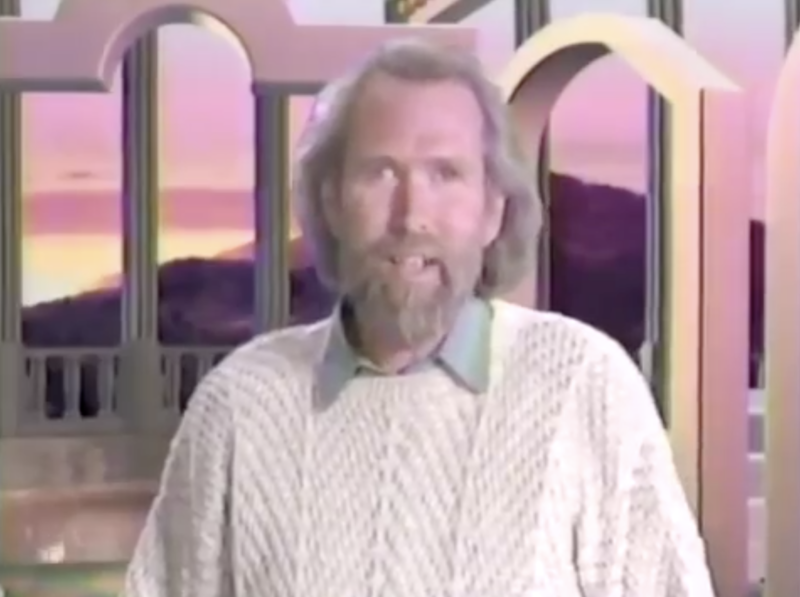 This 1989 experiment tried to marry the light and dark sides of Jim Henson’s work into one weekly television event. It didn’t really take. 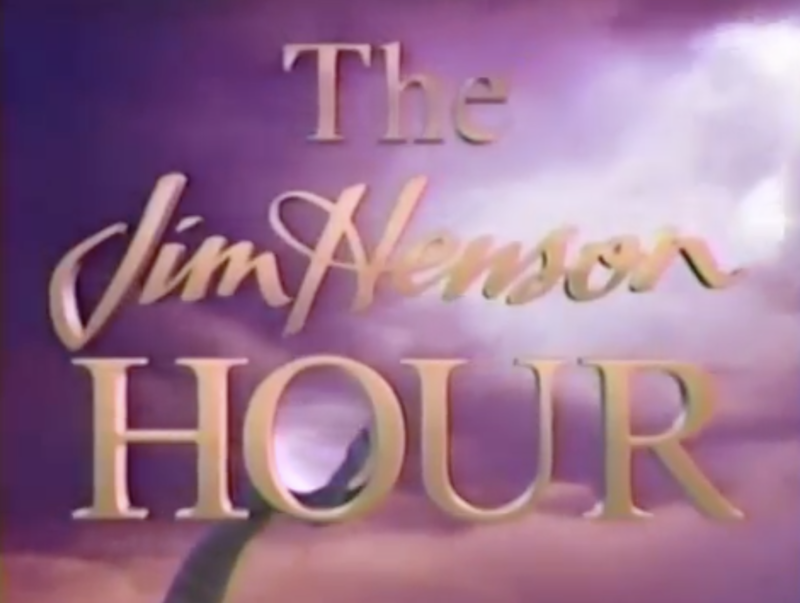 Henson himself hosted the weekly hourlong anthology series, setting up the episode’s lineup and theme. 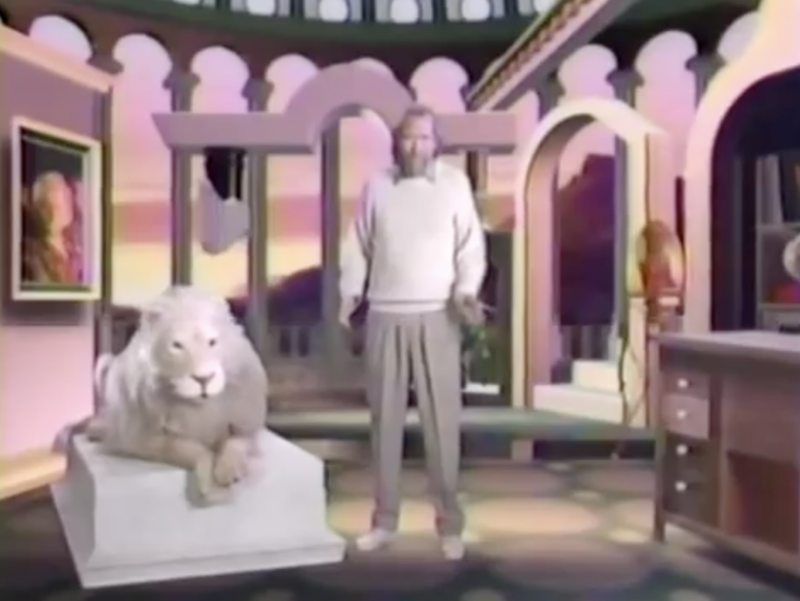 The first thirty minutes were called “MuppeTelevision”, hosted by Kermit and structured like a modern-day Muppet Show. A muppet named Digit served the Scooter role in coordinating the production, and the tradition of a weekly special guest was still intact. The second half hour was, for the most part, a more serious offering. This segment was typically one story told over thirty minutes exploring the more poignant, emotional, story-led side of puppetry. 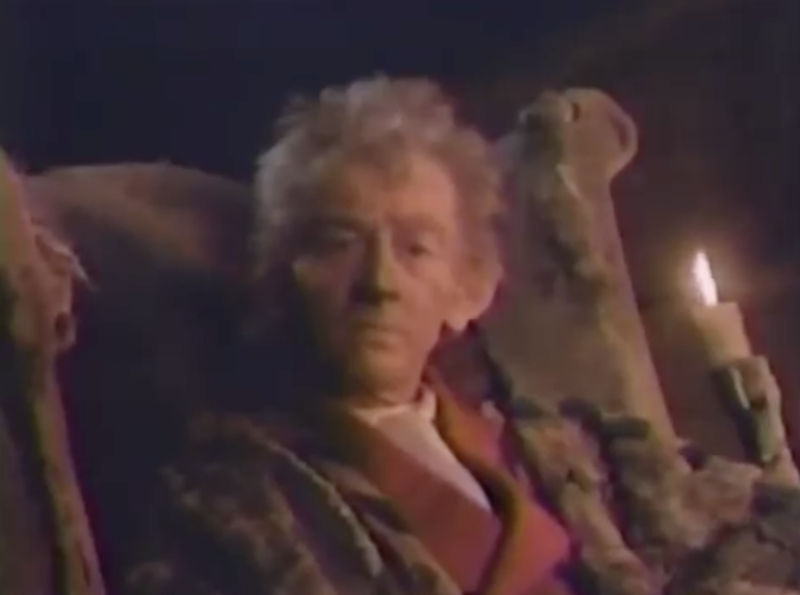 The short film Lighthouse Island aired here, as did several episodes of The Storyteller, starring John Hurt. The series was a ratings flop, and only 9 of the 12 episodes produced ever made it to air before NBC cancelled the show. A shame, as there’s something special here. Here’s the first episode. It was an odd-yet-very-eighties move for McDonalds to offer a line of salads as a standard menu item. I’ll ignore the fact that they chose to put them into cups so that you could shake them to toss and mix the dressing, which added the frustrating experience of eating a salad from a cup. Ok, I guess I won’t ignore it. Still, an even odder decision was to use comic strip character Cathy to sell the McDonalds Salad idea. Here are a few commercials with her as the pitch-person. It’s 1981! Candy can be cereal! Anything can be cereal! Everyone’s making cereal! 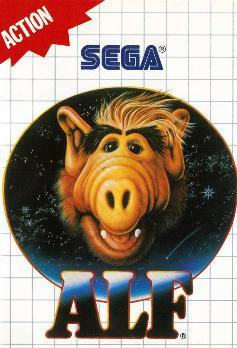 It’s no surprise, given the TV show ALF‘s wide success, that a video game would release featuring the Melmac-ian jester. It should also be no surprise that it was awful. It’s a pretty simple premise: ALF’s scouring the town looking for tools to repair his spaceship, evading men-in-black and other, more pedestrian perils. These men-in-black are pretty awful at disguise, their characters eternally hunched over with comically ‘grabby’ hands. Still, the music’s charming and although the premise sounds A LOT like E.T., at least this game adaptation isn’t total garbage. Here’s a playthrough. 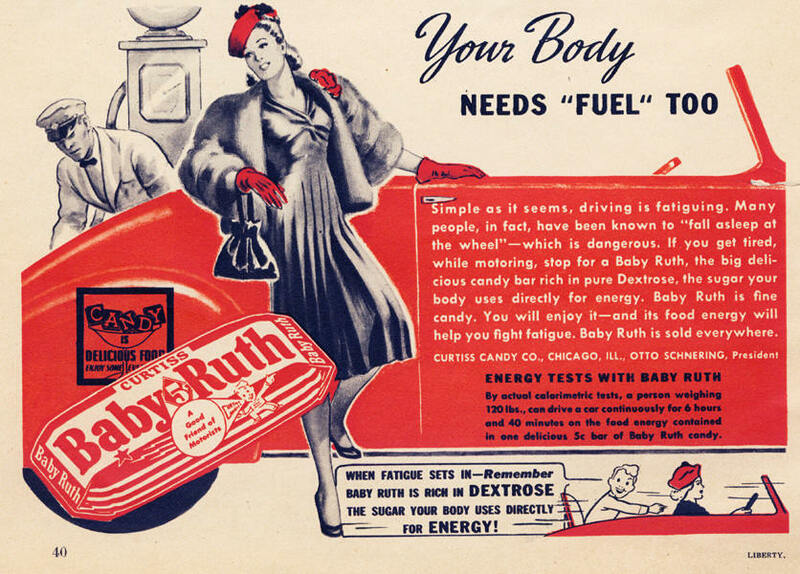 And a beautiful, beautiful early-20th-century ad for Baby Ruth. The original driving stimulant. Except for, you know, drugs.